This felt like a racial moment, but, then again, it didn’t. 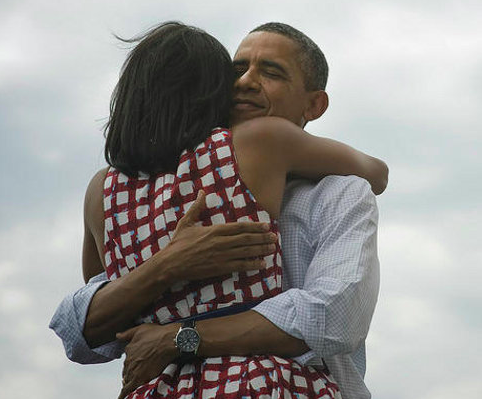 The re-election of Barack Hussein Obama (love to the New York Times every time they print his whole name) at first triggered the same emotional cues as four years ago when the history making of the “first African-American became President” powered the excitement. This was a Black thing, to be sure, but it wasn’t, as the t-shirts used to proclaim, “A Black Thing, You Wouldn’t Understand.” Many others did understand Obama’s triumph on November 6th because this was about African-Americans maintaining our visibility. This was about all people of color—all of Langston Hughes’ “darker-skinned selves”—proving to the world, and more importantly, to ourselves, that we’re not a fluke, we’re not a one-off moment in history the white establishment can erase after a proclamation that they will make our hero a “one term President.” This was about all groups on the outside who have pushed for generations to get a seat at the American table—to stay in the seat we earned four years ago, and forever reject the term “minority” as a factually inaccurate description. Blacks, Latinos, Asians, women, gays…we are the real Super Pac, bigger, smarter, and a whole lot more effective than the groups with the not-so-anonymous billions who are so obviously just trying to hold on to that old power that is fast collapsing under the weight of its greed. It was good while it lasted. The smart ones, the Buffets and the Bloombergs and the Christies, jumped off that crippled bandwagon before the cliff came, before bloggers would dust off centuries-old maps of free and slave states and match them line for line with the red & blue electoral college results of 2012 to reveal a terrifying truth about our history. Over the years, I always felt a hopeful warmth whenever I saw a Black man and a white man high five eachother or hug it out in public (even more when I saw a Black and white woman show their affections). But even in the safe space of a summertime pickup game after a winning basket the embrace was always a bit self-conscious. Now we see the love on the presidential stage, behind the presidential podium, in front of the world. Springsteen’s “We Take Care Of Our Own” blaring alongside Jay-Z’s “Run This Town” because ultimately they are the same song. It’s all in the faces. Not the tight-lipped faces of Bohener or McConnell or Rove, but the buoyant multi-colored faces in the crowd that was behind Obama on stage cheering for a Black, interracial, of-the-world man winning again for us all. JFK meet Daymond John. For us by us no longer on the low, but the slogan for a kickstarted cultural moment that is forging a new cultural identity right before our eyes. If what happened on Nov 6, 2012 is surprising to you then you haven’t been listening. I’ve always believed that entertainment, music in particular, drives our American culture because of the influence beats and rhymes have on our young people. So ignore Kanye if you wish, but what he’s saying, what he’s wearing, even who he’s dating, can reveal more about our country’s identity than the best ethnographies. Today’s weirdos are tomorrow’s heroes. Yesterday’s lonely dreamers are tomorrow’s unifying leaders. Just ask Barry. But what can we call all this? All this change and disruption to the status quo? Is it cross-culturalism? Yes. The “browning of America?” Yes. That Time magazine cover was ten years ago (!) But if you want to expand a demographic lens into a psychographic one, a transition Obama has subconsciously begun for us, we need a new phrase to help us make sense of it all. What do we call the mindset of the outsiders who have become insiders but have retained our perspective, our history, our creativity, our power? Let’s go “new urban.” New urban, not just a demographic, but a description of that wonderful thing that socializes everything about who we are, what we do, and how we feel. See, in 2012, you can be Black and be a whole lotta other things too. And that’s ok. The experience of race & ethnicity is as powerful today as it has ever been. New urban does not describe the loss of anything, the watering down or melting away of the racial cultures that make us unique and proud and give us a history. But new urban is more expansive. Lets for more in. No sell out. So Obama’s win was not about a racial moment or something else. It was about the proudest of Black moments and the signifier of cultural shifts soon to transform our world. Or maybe November 6th just finally proves that we are all just children of the Revolution. Not Che’s Revolution, but Prince’s one. You remember his band from 25 years ago? Now that was new urban for sure! Who’s crazy now?